Are you looking for an author to visit? A speaker on writing, publishing, marketing? "Lisa's talk on 'How to Market Yourself' was fabulous. She was very well received by the members who felt she really knew what she was talking about. "Anne-Marie Foster, Co-Founder, freshconnections, a networking group for women in business. "Lisa’s talk, 'Graveyard Adventures,' was both informative and entertaining. I've never seen another speaker get the ladies so engaged and laughing.”-- Nancy Wilkie, Mystic Women’s Club, Conn. The children in the summer program really enjoyed your presentation of your novel, Ride a Horse Not an Elevator, and receiving an autographed copy. That aspect especially did a great deal to help them feel connected on a personal level to the whole writing process. Thank you so much for giving your time to them and sharing your expertise." There are several important reasons for writing your life story--or at least a part of it. If you have a message that inspires, comforts, shares your life, makes a reader laugh or gives them a truth that can change their lives, then you need to know how to get it down on paper and publish it. About the Instructor: An award-winning writer, Lisa Saunders is a graduate of Cornell University and the author of three memoirs including Mystic Seafarer's Trail. 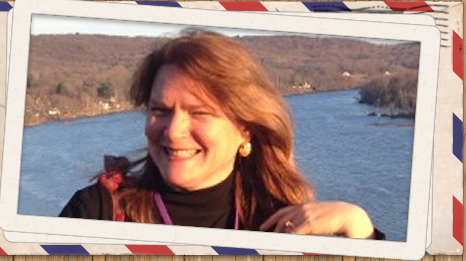 She resides in Mystic, CT, works part-time at Mystic Seaport as a history interpreter, and helps writers get published. Ever True: A Union Private and His Wife: Charles McDowell married Nancy when she was 15 years old. Enlisting as a private in the New York 9th Heavy Artillery, he asked Nancy, then 17, to save his letters. Despite his grueling battles and marches, he was able to save hers as well. Together their letters include tales of desertions, hangings, prostitutes, venereal disease, bullets, typhoid fever, lying injured on the battlefield for days, and “clever women.” Great-great granddaughter Lisa Saunders will tell the “back story” of her book, Ever True: A Union Private and His Wife. She is also available to present her “reader’s theater,” Ever True: A Civil War Love Story, with members of your organization if so desired. Note: Charles fought alongside the 2nd Connecticut Heavy Artillery in the Sixth Corps. A Writer's Life: Lisa Saunders shares the joys and frustrations of being an author and why she prefers writing about the dead. Discovering Mystic: The Mystic Seafarer's Trail: Secrets Behind the 7 Wonders, Titanic's Shoes, Captain Sisson's Gold, and Amelia Earhart's Wedding. Lisa includes her own adventure when she meets up with a bling sailor who invites her on a long winter voyage. How to Self-Publish on Amazon—for FREE! 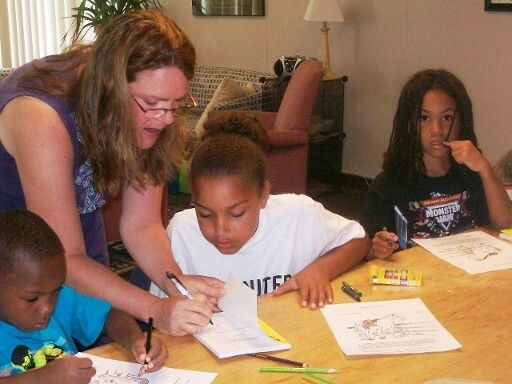 Youth Writing Workshop: Lisa Saunders, author of the children’s novel, Ride a Horse, Not an Elevator, will offer advice to young writers on how to find their "voice" or personality in their work, in addition to how to get published. Students will have a chance to share their work in an "Open Mike" format. Students are encouraged to bring a writing sample to share along with some paper and pen/pencil. Mrs. Saunders will ask students to write an additional short piece in the hour and half workshop and to comment on each other's work in an atmosphere of support and encouragement. Students will have a chance to read their work aloud and learn the publishing process. Click on Lisa's flyer: How Children Can Get Published. Horse Book in a Bucket: Lisa Saunders’s children's book, Ride a Horse, Not an Elevator, is part of Cornell University’s “Horse Book in a Bucket” 4-H program. The “Horse Book in a Bucket” Program includes Ride a Horse, Not an Elevator, horse fact cards and worksheets, coloring page on hoof care, breeds poster, samples of horse feed, and a mane comb. Lisa will read an excerpt of her book and share some fun horse facts. Share your life experiences with family, friends, and perhaps even the public. Examine different styles of memoirs and learn how to write yours to best express your "voice". Writing exercises will include memory jogging questions to help you get started. Answers will be shared and discussed in class. Publishing options will also be covered. Please bring pen and paper or a laptop. Participants of all abilities will learn how to celebrate and improve their craft, showcase their work, self-publish or attract a publisher. Participants will gain confidence that their unique perspective is valuable and worth sharing with others. Participants will learn how to use questions and timelines to prompt their memories. Participants will learn how to outline a story and overcome writer's block. How do they differ from autobiographies? How long of a period should you cover? List your most vivid memories. Pick one and expand upon it. Did someone ever save your life or you save theirs? Were you ever afraid of something? How did you deal with it? Do you know how to make something? Describe it. Describe one of the happiest times in your life. Describe one of the saddest times in your life. Describe something you did when you were little. Who had the biggest influence on you? Name an extremely challenging experience you faced. Name a time of extreme danger. 3. Read resulting work in class. How to decide whether the work should be written as fiction or non-fiction. The lecture can be done as a PowerPoint so the hearing impaired can read the lesson. The visually impaired usually have their own devices for writing. I would need to be given a handicapped accessible room for the physically impaired. Lisa Saunders is an award-winning writer and TV host living in Mystic, Connecticut. She works as a part-time history interpreter at Mystic Seaport, is an instructor for New London Adult and Continuing Education, and is a columnist for Pathfinder magazine. A graduate of Cornell University, Lisa is the author of seven books and writes professionally for several clients. She received the National Council for Marketing & Public Relations Gold Medallion. 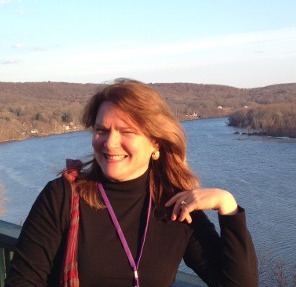 Lisa has spoken on a variety of topics at venues such as The Washington Independent Writers Association, The Writer’s Center (Bethesda, MD), Connecticut Authors and Publishers Association, and Cornell and Johns Hopkins Universities. "We received very positive reviews from the participants of your memoir writing class. Your workshop was very professional. I appreciate you jumping into this workshop without knowing who the actual target audience was and what level of expertise to expect." Bill Library, Ledyard, CT, January 30, 2013, Youth Writing Workshop. Andrea McKenzie, aandgmckenzie@gmail.com: "Lisa's manner with children is natural and encouraging, immediately putting them at ease. Her writing advice was advanced enough for adults, but simple enough for children to implement. By the end of the workshop, even the shyest students were sharing parts of their literary creations. This workshop was wonderful!" “Thanks so much for your valuable instruction on how to get self-published. Really appreciate your patience and teaching style. Sometimes it feels overwhelming when you learn something new but you made the experience pleasant.” Marianne, New York. SUMMARY: Skilled in alumni and public relations, marketing, writing, and editing in the education field. Proficient in Microsoft Office (Word, Excel, PowerPoint), People Trak, social networking, and website updating. Author of several books, including one on the Mystic area. Sponsor family for United States Coast Guard cadets. Independent writing/publicity consultant, Nov. 2010 – Present: Compose alumni biographies for newsletter and award nominations, edit alumni-funded scholarship booklet, write press releases, marketing materials, and edit publications for the State University of New York at Rockland Community College. Public Relations Chairman (volunteer) for Daughters of the American Revolution (Groton Chapter), Columnist for In Town magazine, and marketing specialist for National Field Service Corporation. Part-time Historical Interpreter: Orally present Mystic’s ship-building history and artifacts to the general public. Developed relationships with alumni and assisted with Foundation fundraisers such as award ceremonies, golf outings and annual campaign. Used Twitter, Facebook, and RCC Speakers Bureau as additional promotional tools, which resulted in newspaper coverage of the college and faculty. Composed brochures and edited catalogs. Awarded by the National Council for Marketing & Public Relations, District I: Gold Medallion for Academic Convocation Booklet (2010); Silver for Departmental Brochures (2010); and Bronze for ad print series, which featured noteworthy alumni (2009). Received national coverage on Fox and Friends and in Associated Press through press releases relating the circumstances of individual students or faculty to current events. Interviewed approximately 80 candidates monthly and communicated with clients on employment needs in the utility, communications, and right-of-way industries. Represented company at job fairs and coordinated marketing events, including annual 100-guest Christmas party and sleepover event at West Point Academy. Placed many applicants with AT&T. Maintained database of applicants in People Trak. PUBLISHED: Books include Mystic Seafarer’s Trail, Ever True: A Union Private and His Wife (Heritage Books); Anything But a Dog! The Perfect Pet for a Girl with Congenital CMV (Unlimited Publishing LLC); and Ride a Horse, Not an Elevator (incorporated in Cornell University’s 4-H Horse Book in a Bucket program). Articles specializing in tourism, history and health published in several magazines and newspapers. SPEAKER: USA 9 News...West Point Museum...Seward House... Lincoln Depot Museum…Cornell University...Centers for Disease Control and Prevention (CDC)…Johns Hopkins University... Siemens Healthcare Diagnostics Daughters of the American Revolution (DAR)... Civil War Round Tables... Derek McGinty Show...The Washington Independent Writers Association... grade schools…libraries. For a list of Lisa's publicity services, click on Lisa's Publicity Services. To get on Lisa's mailing list, click here.